This mystical concept of complete electronic document management and a paperless office has been spoken about for decades and is still something that could happen in the future. It hasn’t happened yet. Printing has not become unpopular, and people are not ready; besides the fact that most businesses rely on paper, and it is useful and easy to use. And those are just half of the facts listed – meaning that there is even more waste and inefficiency that occurs in business. It is clear that a change in organizational workflow is needed; training on new processes and a change in behaviour required before we can reach this paperless office. How does your business work? How many documents are generated for it to function on a daily basis? Are you conscious of your workflow processes, and if any time and resource wastage occurs? In a previous blog, we said that no fewer than 10 000 filing cabinets are delivered each month to businesses in the U.K. There is at least one filing cabinet for each of the U.K.’s 13.5 million office workers. The fact is that approximately half of all initial information searches fail to produce the correct document. This is such a waste of time; an inefficient way to handle documents, and there has got to be a better way. There is – electronic document management – but it involves new computer software, time to sort through those dusty cabinets, coming up with new processes to handle data capture so you don’t get back to hoarding paper, but it also means a more streamlined and efficient business amongst other benefits. 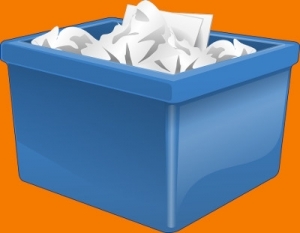 What are some of the benefits of a paperless office? Saving on cost is a big one – saving on printing costs and paper, of course. 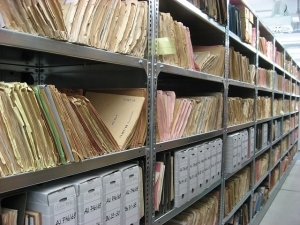 What types of documents do you have currently in your filing system? Which documents do you want to store electronically? Which documents do you need to access quickly, and often? From what date will you go back to convert your documents? What date will you begin to store identified documents electronically? What is your budget for new equipment and software to store documents? What is your process to handle paper that still comes in from customers and suppliers? What is your process for legal and tax related documents? What is your time frame to complete going paperless, and the process you will follow? How will you get your staff to buy into these changes? Do you need help implementing these changes? Will you use the services of a consultant or specialist company? What is your process to maintain these documents as well as incoming paper on an ongoing basis? Who will be responsible for maintaining these documents? Once these points have been considered, you can take some steps to introduce a (reasonably) paperless office. If it seems like a daunting task, that is because it is, but it will be worth it. The first step is always the hardest, so just begin. Commit to it! Then ensure everyone in the company is committed to working toward and having a paperless office. Have them involved in the conversion process. Make sure your computer hardware will be able to cope with the new software and additional file storage required. Also, have a stable backup system in place! Consider what your business needs right now as well as in the future. Also consider the documents that are needed regularly and quickly and which documents need password protection. Come up with a realistic timetable and plan for this transition. Begin with just one department to allow you to deal with any problems before implementing it to the rest of the company. Define a workflow for maintaining this paperless office. Then talk to Qualitas about implementing an electronic document management system. A Document Management System comprises many different components that all have to be matched to the specific application. Documents cannot just be scanned and captured onto disk. You also have to ensure ways of finding the information again, and of storing, retrieving, printing, faxing and e-mailing them. The first stage of a Document Management System is the capture and conversion of paper-based information into a digital image that can be indexed, stored and retrieved time and time again. A Document Management System will not fire on all cylinders unless the indexing side is correct. It is important to be able to customise the index fields for the application and this is a vital consideration when implementing a Document Management System. The preparation of documents before scanning and indexing is a prerequisite. After scanning the document one needs to give it a name/tag (or several) so you can find it again. This forms the index or database. Indexing for structured work processes will require a few fields (e.g. name, document number or document type). Barcodes are often used in conjunction with Imaging Systems and are a very useful way of cutting down on time spent indexing. Generally, the barcode will contain all information that needs to be indexed, such as customers name and address, or an account number. All that has to be done then is to scan the bar-coded documents and the index will be automatically captured. Qualitas can provide you with a workflow enabled document management system called ExecQDocs. ExecQDocs, the Document Management Software product developed by Qualitas Technologies, is made up of modular software engines that allow total electronic control of all information generation and dissemination within the organisation. It is a highly scalable system, with easy to use interfaces, based on the user-friendly Windows-type icon structures. The suite of software offers full scanning, indexing, retrieval, printing, faxing, e-mailing and workflow capabilities, together with full content-searching and cold-scanning facilities with a complete audit trail throughout. Each document is given its own index/search key and is secured with a 128 encryption key. ExecQDocs also helps you create workflows to manage the processes in your business to maintain your paperless office. The reality is that you cannot have a completely paperless office, but you can work toward reducing the amount of paper consumed and printed, work towards having more streamlined business processes, and people making conscious choices when dealing with the documents needed to run the business. This can be completed with the help of Qualitas and ExecQDocs.